Some people float great in the morning and some float great at night. If you're one of those people who rolls out of bed and feels like a zombie until your mind warms up, chances are you float best in the morning hours. If you're one of those people whose head pops off the pillow with a to-do list that you can't stop thinking about, chances are you float best at night. 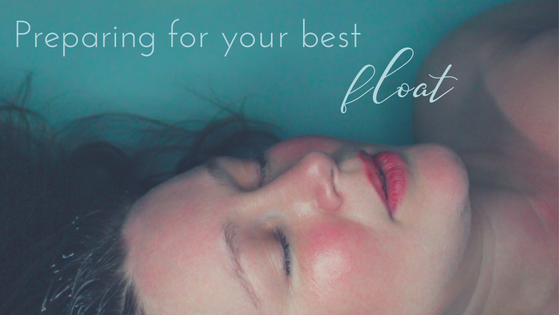 The timing of your appointment can make a big difference in the quality of your float experience. Obviously, you don't want to be too hyped up on coffee or soda before a float. Caffeine is not your friend in a tank (check out this video). Also be mindful of hunger in the tank. If you're hungry outside the tank, you'll be really hungry inside the tank and no one wants to hear their stomach growl in there. Have a small snack before you coming for your appointment. Be hydrated but don't over do it. Getting out for a bathroom break mid float is a zen breaker. In one sentence: Try not to have too much of an agenda. Since the mental benefits of floating all depend on what's in your head, it's important to get the right mindset before stepping inside. Remember that every float is unique and different (snowflakes, fingerprints, zebra stripes?). Get in the tank with the attitude that no matter where your mind wanders, you'll just allow it to go. Bumping the sides? Let it go. Leg is itching? Let it go. It's sensory deprivation, not sensory elimination. Don't allow a couple of lizard brain interruptions run your entire experience--just take it in and let it go. Every floater is chasing that theta wave, stars aligned, one with the universe feeling--the ultimate definition of relaxation and enlightenment. Only a few have that experience in every float but you can set the stage with intention and preparation to have the most amazing experience every single time.